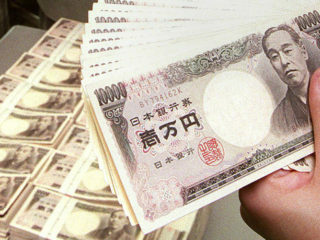 Tokyo stocks closed lower Thursday, weighed down by a firming yen, but banking shares gained to provide some support for the overall market. 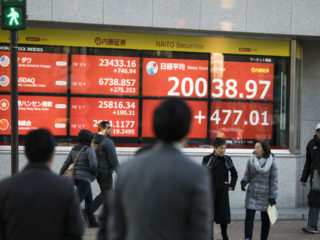 Asian markets mostly turned south Thursday as investors took a breather after rallying this week on optimism over China-US trade talks and the Federal Reserve's softer tone on interest rates. 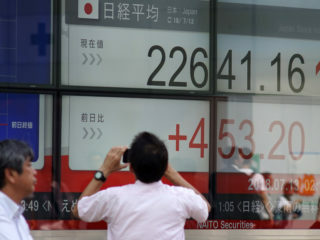 Tokyo stocks opened higher on Tuesday despite lingering worries about trade issues as the yen lost ground against the dollar, which tends to boost stocks. 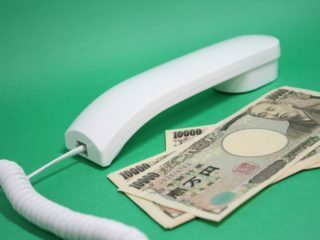 Tokyo stocks opened slightly higher on Tuesday as the yen remained cheaper against the dollar, with worries over a US-China trade war receding. 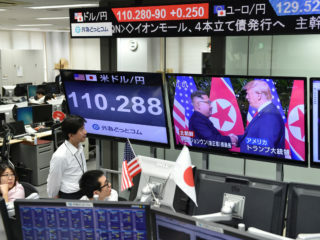 Tokyo stocks closed higher on Wednesday helped by a cheaper yen, as market focus shifted from Donald Trump and Kim Jong Un's summit to US and European central bank meetings. 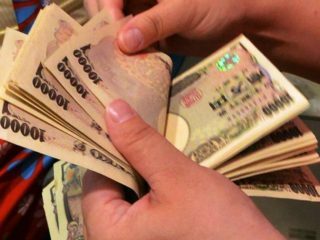 Tokyo stocks closed higher Thursday as a cheaper yen helped boost market sentiment, with investors pursuing shares in companies expected to report brisk earnings. 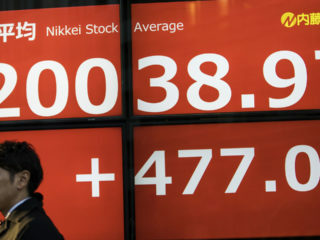 Tokyo stocks closed solidly higher on Wednesday, helped by gains on Wall Street and a weaker yen, as investors digested news from the US-Japan summit talks. 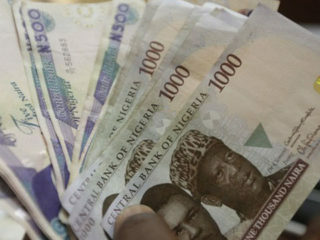 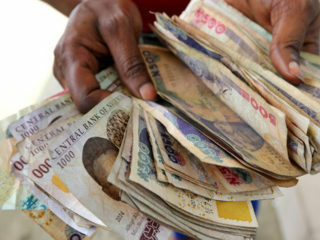 Tokyo stocks opened lower on Thursday as the yen hit a four-month high after the US treasury secretary hailed a "weak dollar" at the World Economic Forum in Davos. 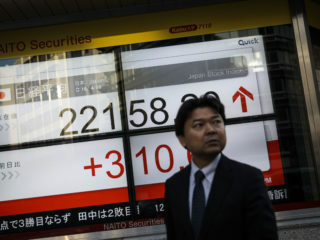 Tokyo stocks closed lower on Wednesday as Japanese exporters were weighed by a stronger yen, a day after the key index closed at a 26-year high. 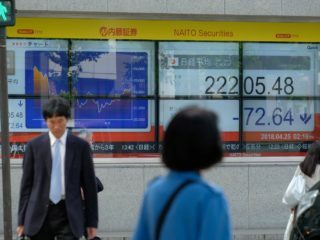 Tokyo stocks closed ended lower on Tuesday as exporters were hit by a rush into the safe-haven yen with tensions between the United States and North Korea flaring up again.